By this time everybody has heard the massive track, “Internet Friends”, from none other than Knife Party (if you haven’t you might wanna check yourself). 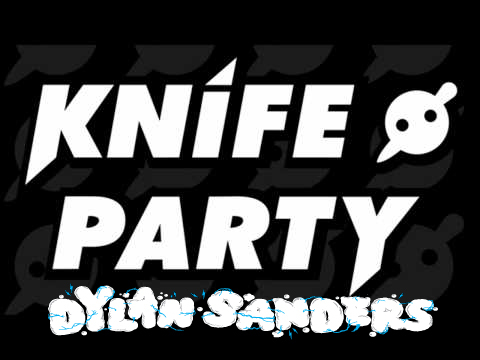 And everybody knows that the Electro infused glitch-step of Knife Party is becoming contagious throughout the EDM world, but today we’re not talking about Knife Party, we’re talking about an Australian DJ/Producer named DYLAN SANDERS. This is the young Aussie’s take on Knife Party’s anthem, and I will say that it will make some noise of it’s own. If you are a fan of Moomah/moombahcore, or whatever you want to call this emerging genre, then you will love this track. DYLAN SANDERS makes all the right calls in this remix; the moombah beat does not detract anything from the original track, and his added synths and samples make this a serious party track, pure fire in my opinion. If you have the right sound system it will hit you in the teeth, and leave you begging for more! DYLAN SANDERS has worked with big names such as Wolfgang Gartner, Steve Aoki, and Afrojack. He has played at the Future Music Festival for four straight years, and his remix of “Animal Rights” by Deadmau5 and Wolfgang Gartner made it to #3 on the Hype Machine charts. This kid has got some serious talent, watch out for him in 2012 and expect great things. Finally, show the guy some love and “like” him on Facebook and Soundcloud.